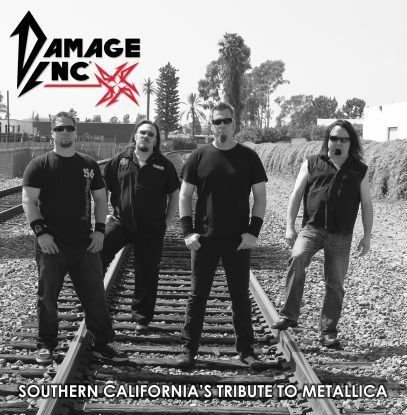 As seen on AXS TV’s “The World’s Greatest Tribute Bands”, Damage Inc, Southern California’s Tribute to Metallica, is the foremost Metallica tribute band in the United States. They have been performing the music of Metallica for over a decade at numerous sold-out venues, as well as donating their time to several benefits concerts. With a never-ending library of timeless classics mixed with today’s hits, Damage Inc captivates audiences with the sound and intensity of a live Metallica performance.